When Vee was about 14 months old, I decided to start weaning him off breastmilk — the perfect and best milk for human beings. The main reason is that his regular suckling day AND night is doing too well in child-spacing. I hope to have a second baby by the end of next year so that their age gap is within three years and while I am still in my twenties. Weaning off breastmilk means I need to search for an alternative milk drink for him, amongst the HUGE variety of milk available in the market. The options: formula milk (brands A to Z), whole (fresh) milk (brands A to Z), whole organic milk and goat’s milk. Gosh… no wonder this post took four afternoons to complete and after several shopping trips. Since all mothers would need to go through a similar thought process when weaning the toddler off breastmilk or after he outgrows infant formula, this article shall share with you the findings from my exploration. 1. How Much Milk to Drink? Vee was fed latching on exclusively (except for the odd occasion) on demand, so I have no idea how much milk he drinks. His paediatrician mentioned 500 to 600ml of dairy products per day is sufficient after one year old, mainly for the calcium. My conclusion: Vee needs about 500 to 600ml(or mg) of milk and/or yoghurt per day. 2. Whole Milk or Formula? I read the labels of formula milk (both organic and non-organic versions) in the supermarkets and realised that I was still not comfortable with feeding Vee highly-processed food regularly. In Malaysia, the ingredients of the brands of milk powder I surveyed are listed in Bahasa Melayu, which I do not understand. I could only guess what some of the ingredients are. However, as whole milk is not fortified with vitamins and minerals, I am concerned if it would provide sufficient nutrition for Vee. Our home-visit nurse suggests supplementing whole milk with a multi-vitamin to ensure that Vee receives all the necessary nutrients. 3. Milk from Cows, Goats or What? Through my pregnancy and breastfeeding months, I have been on a largely vegetarian diet, eating mostly home-cooked meals using organic ingredients where possible. Since Vee started eating semi-solid foods at 6.5 months, I try to prepare his meals with organic ingredients as far as possible. My main objective is to protect his health by avoiding unnecessary use of antibiotics, growth hormones and genetically-modified organisms (GMO). Now that he is going to drink milk produced by an animal other his Mummy, I hope that the animal is fed on a healthy diet too. 5. Cows: Pastured (Grass-Fed) or Confined (Grain-Fed)? Just when I thought I had considered enough factors, I read about parents who were opposed to drinking milk from grain and corn-fed cows. In nature, cows are supposed to feed on fresh grass, instead of grains. Even organic milk may come from cows who are confined and fed on organic corn most of the time. (Read the relevant USDA organic standards here.) 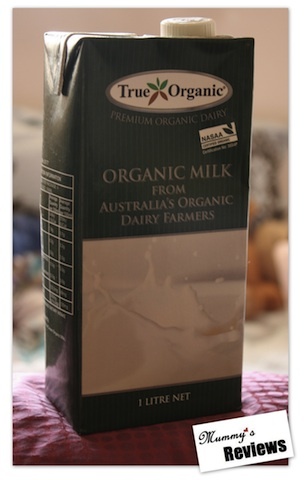 My preference is for food as close to nature as possible, so even organic milk needs to be chosen carefully. 6. Regular Pasteurised or UHT Milk? Ever wondered why some milk are kept in the refrigerator while some are stored in room temperature for up to 6 months? Regular pasteurised milk usually costs more than UHT milk, so I explored if the former had significant nutritional value (or if UHT milk is good enough). Stay tune for Part 2, where a few brands of shortlisted milk / yoghurt would be compared. Poll: What is your toddler’s favourite milk (or dairy product)? This article saved me like 100 research hrs 🙂 I’m thinking of introducing fresh milk to kaleb after weaning him off bm. He takes 24 oz each day. As I’m an eping mum, I know exactly how much milk he drinks. Pls put your 2 cents worth on infant multivits too. Hi, thanks for this useful research article. I am going to continue breastfeeding my one-year-old, but keen to find out more if necessary to supplement with vitamins. which multivits are u giving your son and what vitamins do they contain? Hi Carol, since your child is on breastmilk, I think whether he needs a multivitamin depends largely on his solid foods intake. The multivitamin that my boy is taking is “Source of Life Animal Parade Liquid Children’s Multi-Vitamin” bought in Singapore. There were limited choices at the shop (and even more limited in Malaysia). I am still studying the choices of multi-vitamins available and would update any useful findings on a post. I still avoid all kind of animal milk including dairy products. I dun believe in drinking more milk will let you gain more calcium. If it’s true, why osteoperosis rate is higher in well developed country as they drink alot of milk each day? Never heard it’s become major diseases in Africa. So i still believe that animal milk X GOOD lo… more over i hv serious allergy problem, it’s a good way to avoid those allergy caused by animal protein. Hi Allisia, I understand where you are coming from. I have read about the controversy about drinking too much milk and consuming too much animal protein. That is one reason I turned vegetarian two years ago. I relied a lot on soy for my calcium and protein. However, Vee has soy allergy, so soy milk is not an option for us. This has not been addressed in the article. Toddlers need not drink milk from animals if they receive sufficient calcium, protein and fats (I think these are the main nutrients from milk for toddlers) from their food intake. This would need very careful meal planning from caregiver (usually Mummy) to prevent malnutrition, as addressed in an article mentioned in the post. If not offering milk from animals, then it seems extended breastfeeding would be most ideal. There are many factors that could lead to osteoporosis besides lack of calcium, as mentioned in Medline Plus Encyclopedia. Perhaps the Africans exercise much more than us in the developed countries? This reminds me to exercise more too as I am underweight and at higher risk for osteoporosis. Gosh …. love ur reviews & especially this one. Tks cause I’ll be needing this soon although I’m still breastfeeding. Anyway, mind if I ask what’s your thought on extending breastfeeding up to 2 yrs old? My daughther is now 13 mths & still on BM. But she doesn’t feed direct & instead I need to pump cause she got used to the bottle when she is in childcare (am a FTWM). Tks for your thoughts on this…………. love your article on this .It save me lots of research on which milk to choose when it’s about time to wean . I already breastfeeding my lil Sarah for19 months, however I need to find some back up milk or yogurt incase my milk is not enough to be given during fasting month. I’m a FTWM and have difficulties in pumping enough milk for her. Hi Sara, part 2 is taking so long because we are still trying different milk. Should get it out soon. Thank you for your patience. 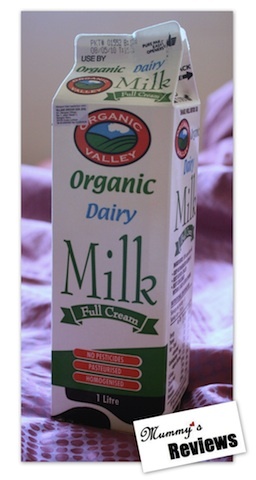 In the meantime, Organic Valley milk is by grassfed cows, we managed to find it only at Village Grocer, Bangsar Village. The stocks are replenished once in a while; no stock when I dropped by last evening. Glad that you are fighting the cancer battle hard. Feel free to check out Woods Macrobiotics outside Bangsar Village for its range of organic produce, dried goods and vegan restaurant meals that cater for different medical conditions. All the best to you! – from Australia: cows have organic vegetarian diet (not sure grass- or grain-fed) (this is the one from The Village Grocer). Please read “Which Milk is Better? (Part 2)” for details. Thank you. Thank you for the well researched article. I am using Paris Creek Full Cream Milk for my 1.5 years old daughter. It is from Australia and is fully organic and bio-dynamically obtained. I get it from Nature’s Glory situated in Tiong Bahru, Singapore. They also do home-delivery and have discounts for members. I hope this information is useful to parents who are looking for fresh milk options for their one year plus kids. My daughter is doing really well with this milk. We make homemade yogurt with it which she loves. Thank you for researching on this article MieVie! It really helped me in my process of choosing milk alternatives besides bm for my 16month old!